Every ministry leader goes through dry or confusing seasons when he desperately needs to hear a word from God. Perhaps you need a fresh vision for your ministry. Transitional periods are the perfect time to enlist an experienced Blackaby-certified coach to help you explore your God-given calling. We begin by giving you a preliminary BMI-designed questionnaire that assesses your readiness to pursue our revitalization coaching process. The questionnaire is followed by an initial spiritual leadership assessment session, which may, if both the coach and the leader agree, lead to an extended five-session coaching relationship to address areas of the pastor’s choosing. 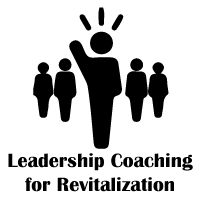 Individual coaching can be completed on its own or in conjunction with participation in a pastor/church revitalization group (read more). For more information, contact Bob Royall via email at b.royall@blackaby.org or by phone at 770-826-5440.